readings. New!Chapter 7 in Volume I now focuses on foreign policy, Western expansion, and Indian removal, while Chapter 8 addresses the transportation and market revolutions. New!Coverage in Chapter 15, Volume II, extends through the recent past, addressing the George W. Bush administration and American life since 9/11. An introductory chapter"How to Read Primary and Secondary Sources"helps students distinguish between types of sources and teaches them how to read and interpret critically. An expandedFurther Readingsection provides students with a wealth of classic and cutting-edge scholarship that relates to key themes in each chapter. 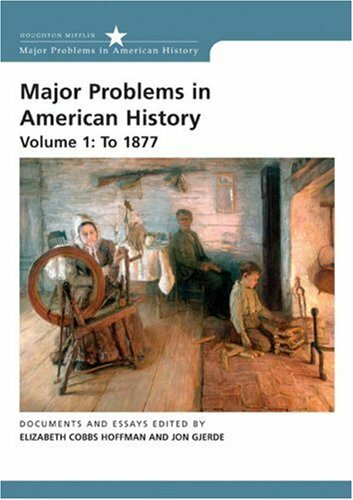 Revised source titles allow students to put readings in historical context.